St. Mary’s is available for funerals throughout the year. This is normally arranged through your undertakers. Lesley is a volunteer chaplain to the Ellenor Hospice and licensed to conduct funerals as is Rev Trudi. 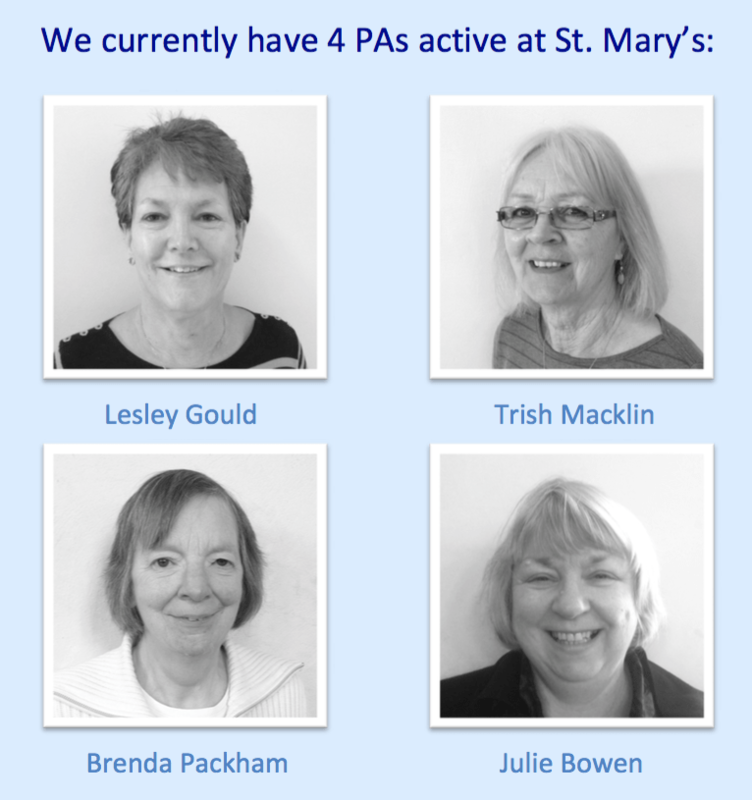 Our team of Pastoral Assistants (PAs) is trained to provide a listening ear. Pastoral assistants are trained and authorised by the Diocese of Rochester. They give their time for free to help people and provide a valuable network of support within both the church and the local community here in Gravesend.